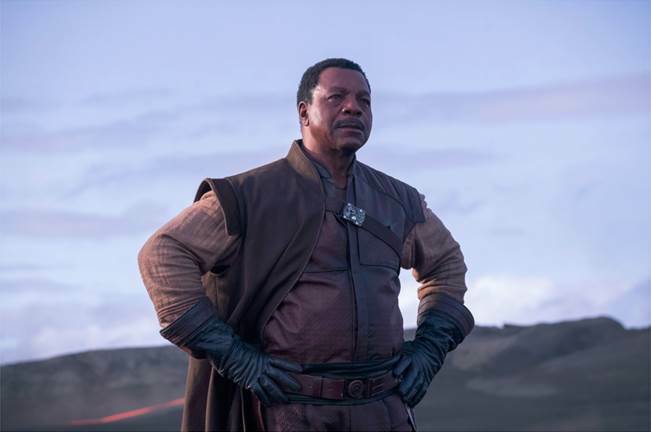 During a Star Wars Celebration panel, creator Jon Favreau and his cast finally shared some big secrets, including the series' exact time setting and who all those new characters are. Star Wars Celebration kicked off its final day in Chicago with one of the event’s most-anticipated panels: a first look at Jon Favreau’s upcoming Disney+ series “The Mandalorian.” As with just about every offering in the Star Wars galaxy, most fans hit the panel knowing next to nothing about the ultra-secret live-action series. And while Favreau and company provided some key details, some biggies still remain (like, hey, what’s The Mandalorian’s actual name?). Favreau, Filoni, Lucasfilm head Kathleen Kennedy, Pascal, Carano, and Weathers offered some major reveals about plot, character, and tone, and even shared some incredibly well-received first looks with the crowd assembled at Wintrust Arena (more on that here). Here’s what we learned. One bit of information that leaked out before the panel: the series’ setting, long rumored to pick up between the events of “The Return of the Jedi” and “The Force Awakens.” Favreau drilled down even further, dating the start of “The Mandalorian” to pick up about five years after the events of Richard Marquand’s 1983 film, which concluded the first trilogy. In the midst of this good chaos, Favreau said he looked to the kind of “scum and villainy” that populated the universe in George Lucas’ first film, imagining their lives after the regime change. To accomplish that, Favreau spent a lot of time referring to the classic films of Sergio Leone and Akira Kurosawa — Pascal added that watching many of their titles were part of his preparation for the role — and compared the feel of Pascal’s character to a Clint Eastwood type. Think “Man With No Name,” and just put him on a strange desert planet, instead of the old West. And, no, he still doesn’t have a name, though everyone seemed pleased to unveil the name of his ship: The Razorcrest, a former military ship that’s armed to the teeth. Early looks at her character in action showed off a skilled fighter (Carano reportedly did many of her own stunts, per usual) who appears to be on the fridges of society with no one else in her corner. 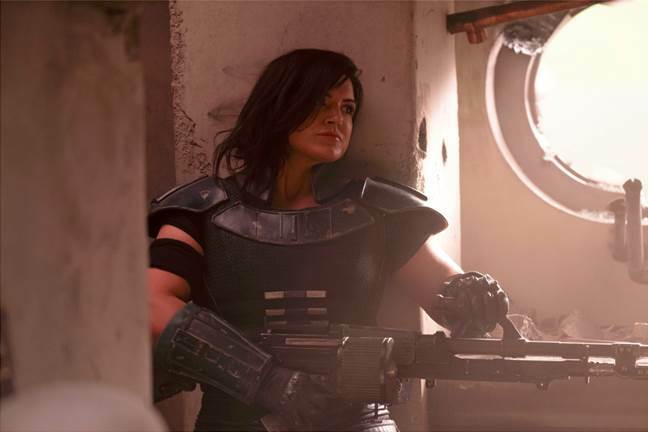 In one scene, she battles The Mandalorian himself after he picks her out at a cantina (and while the footage didn’t make it quite that overt, it appears he may be gathering a team and he may be keen on Cara joining up). Although the scenes shown at Celebration offer a treasure trove of beloved Star Wars characters and locations in a new context — from appearances by fellow bounty hunter IG-88, fritzy droid R5-D4, and weapons that harken back to Boba Fett’s own arsenal — Favreau promised that the series will also appeal to Star Wars newbies. It’s something “anyone could sit down in their seats and enjoy,” he said in a behind-the-scenes clip that showed off the world-building of the new series. The series’ all-star cast also includes Nick Nolte, Werner Herzog, Giancarlo Esposito, Emily Swallow, and Omid Abtahi. “Star Wars” regular Dave Filoni will direct episodes, along with Taika Waititi, Bryce Dallas Howard, Deborah Chow, and Rick Famuyiwa. 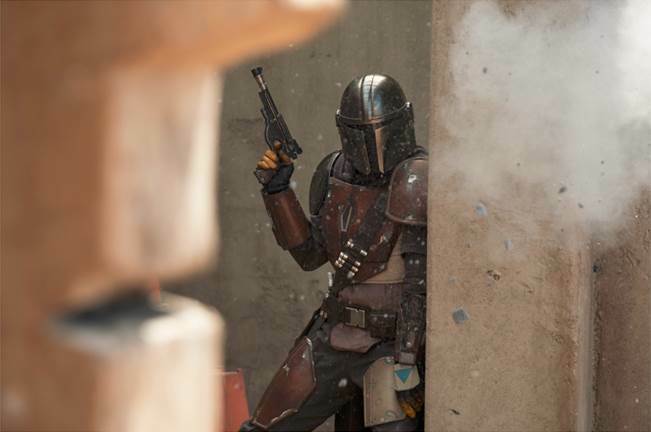 “The Mandalorian” will premiere on Disney’s new streaming service Disney+ when it launches November 12.